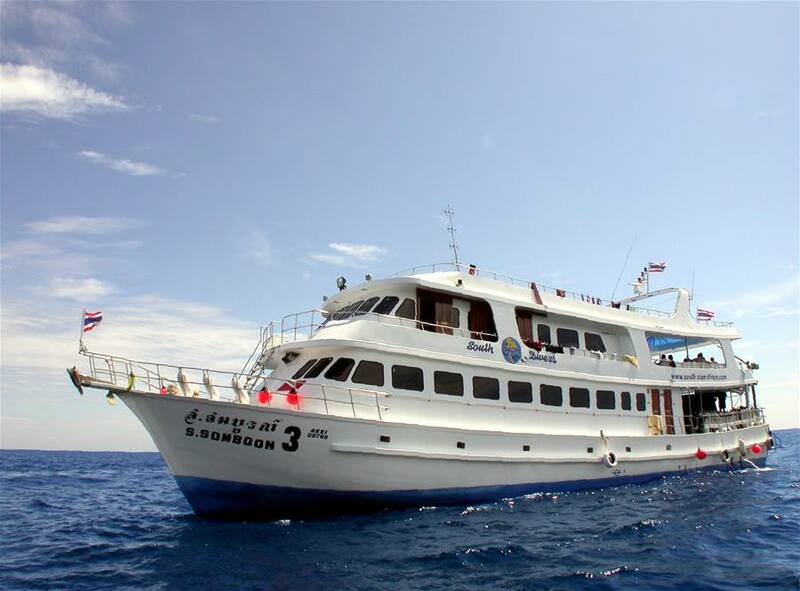 A liveaboard cruise to the Similan Islands is a highlight in every scuba divers life! 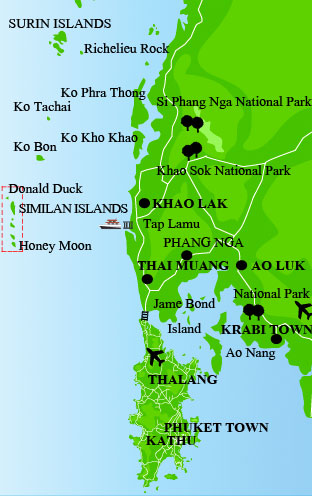 Spectacular divesites, crystal clear waters and islands with bright white sandy beaches, it comes as no surprise that the Similans with Koh Bon, Koh Tachai and Richelieu Rock in Surin National Park are among the Top Ten Divesites in the world! Explore those wonderful divesites aboard one of our partner vessels. Whether it be the luxury cruise, the middle class ship or on a budget class vessel, the diving will always be spectecular and you will make memories of a lifetime! 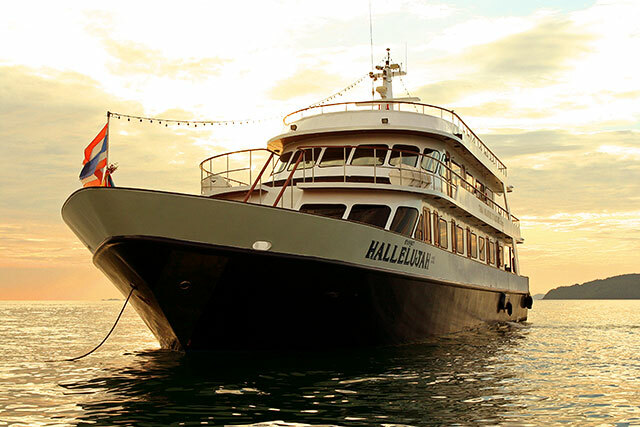 We are more then happy to help you pick the right trip and vessel for your personal liveaboard experience. 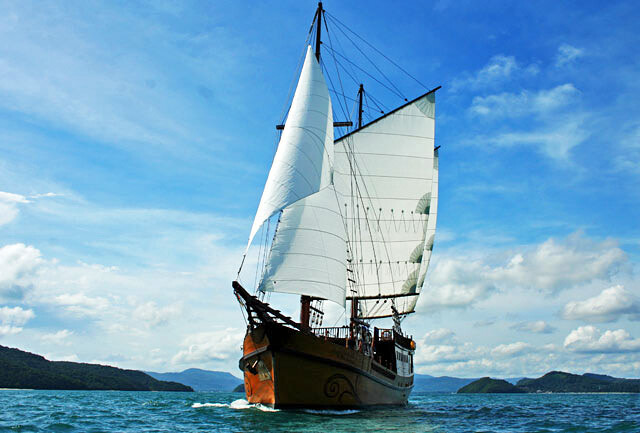 Even though the "standard liveaboard trip" to the Similans is four days and four nights, we offer trips of differnt durations, such as 2 days, one night to five days, five nights and longer. A Liveaboard trip is always something special and every diver has his or her own expectations and wishes how it should be. This is why we do not offer "a standard trip" but work with our costumers to find just the right trip on the right boat for the right price. Please don´t hesitate to contact us, we will be happy to make you a tailormade offer! In the meantime, have a look at some of our partners ships. You will see, the range is a wide variety from the budget boat all the way up to the exclusive luxury vessel! If you have not been diving for a while, you should consider a refresher dive before going on a liveaboard trip. If you have less than 50 logged dives and not dived in over one year, a refresher dive is mandatory. Please also be advised, that we strongly recommend that you get a diving insurance. If you don´t have a diving insurance, we can help you with that. To get more info, just contact us!